Senior graduates, post graduate students, industry R&D personnel, research institutes, and industrial quality control personnel. Dr. Patrick Fox is Emeritus Professor of Food Chemistry at University College, Cork, Ireland. Prof. Fox's research has focused on the biochemistry of cheese, the heat stability of milk, physico-chemical properties of milk proteins and food enzymology. 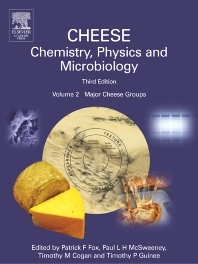 He has authored or co-authored about 450 research and review papers, authored or edited 25 text-books on Dairy Chemistry and was one of the founding editors of the International Dairy Journal. In recognition of his work, Prof Fox has received the Research & Innovation Award of the (Irish) National Board for Science and Technology (1983), the Miles-Marschall Award of the American Dairy Science Association (1987), Medal of Honour, University of Helsinki (1991), the DSc degree of the National University of Ireland (1993), the Senior Medal for Agricultural & Food Chemistry of the Royal Society for Chemistry (2000), the ISI Highly Cited Award in Agricultural Science (2002) and the International Dairy Federation Award for 2002. Prof Fox has been invited to lecture in various countries around the world, and has served in various capacities with the International Dairy Federation, including President of Commission F (Science, Nutrition and Education) from 1980 to 1983. 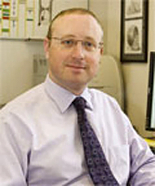 Paul McSweeney is Professor of Food Chemistry in the Department of Food and Nutritional Sciences, University College, Cork, Ireland (UCC). He graduated with a BSc (Hons) in Food Science and Technology in 1990 and a PhD in Food Chemistry from UCC in 1993 and also has an MA in Ancient Classics and a Post-Graduate Certificate in Teaching and Learning in Higher Education (2012). He spent seven months (Jan-Aug, 2014) as interim head of the College of Science, Engineering and Food Science in UCC. He worked for a year in the University of Wisconsin (1991-2) as part of PhD and as a post-doctoral research scientist in UCC (1993-4). He was appointed to the academic staff of UCC in 1995. Prof McSweeney is an experienced lecturer and researcher and has successfully managed research projects funded through the Food Industry Research Measure and its predecessors administered by the Irish Department of Agriculture and Food, the EU Framework programs, the US-Ireland Co-operative Program in Agriculture/Food Science and Technology, Bioresearch Ireland and industry. He was awarded the Marschall Danisco International Dairy Science Award of the American Dairy Science Association in 2004 and in 2009 a higher doctorate (DSc) on published work by the National University of Ireland.